The PocketWizard MSMM Miniphone Adapter converts an ACC stereo miniphone remote camera cable to a mono miniphone cable. This adapter allows an ACC cable to be used with older PocketWizard radio models. 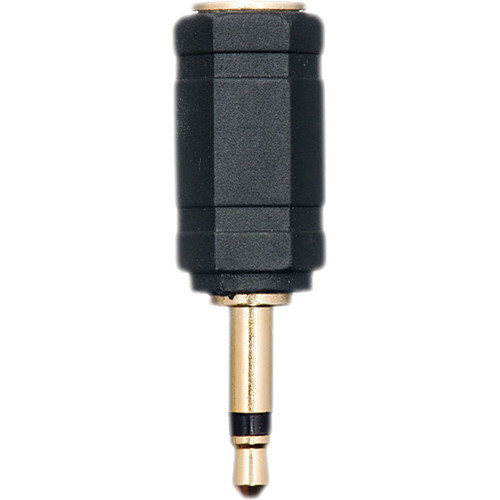 Box Dimensions (LxWxH) 6.5 x 2.3 x 0.9"
MSMM Miniphone Adapter is rated 5.0 out of 5 by 1. Rated 5 out of 5 by Nicholas from Looks well made, but haven't used it. This came in a kit with a PocketWizard N10-ACC-1 Pre-Trigger Remote Cable. The adapter looks well made, but haven't used it. It simply isn't needed for my application, but I have it, if I ever do need it.